In the height of the refugee crisis, thousands of displaced people struggled (and still struggle) to get the resources they need — food, water, and shelter. There hasn’t been as much focus on ensuring refugees have access to another much needed resource — information. Sonia Ben Ali (right) is fighting to change the way refugees receive and share information, democratizing communication via SMS with the help of Twilio.org. Sonia’s father fled Tunisia when he was young. Growing up, she heard about the struggles of being displaced from your home country. In 2007, she saw it first hand. “I slowly realized the extent to which the humanitarian assistance is focused on camps when actually most refugees live in cities,” said Sonia. When refugees are scattered throughout cities with no viable way to reach out to fellow refugees, they get their information from the top down through agencies like the UN. In this top-down method of communication, there’s an information gap. 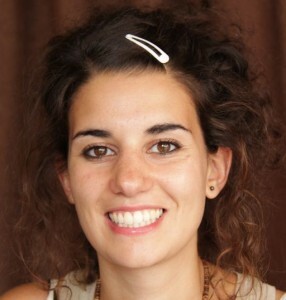 Sonia believes Urban Refugees’ app, SMSUp, will empower refugees to fill that gap by sharing information with each other. 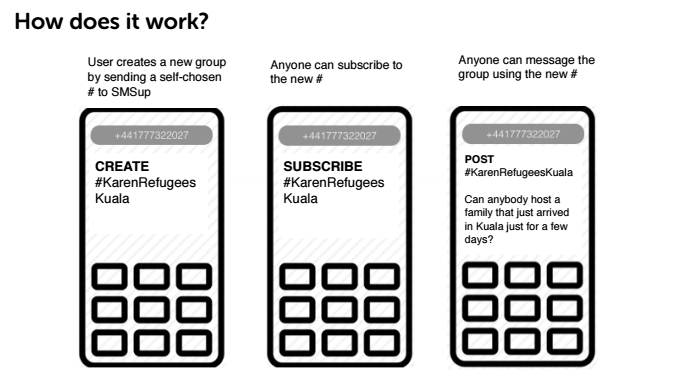 “SMSUp is a grassroots, easy to use and low cost service which uses a bottom-up approach.” “Refugees can create their own distribution lists, share critical information within their community and become empowered to self organize easily,” says Sonia. The decision to use SMS as the means of disseminating information was an easy one for Sonia. 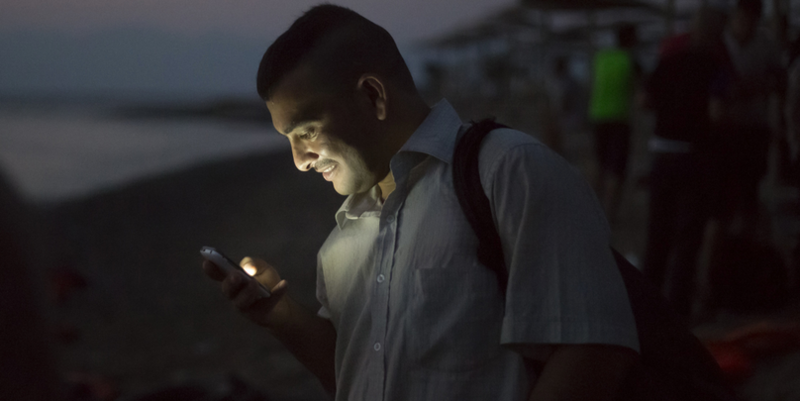 A majority of refugees don’t have access to smartphones or reliable internet. That ruled out building an app, or creating a community group online. SMS proved to be the least expensive, and furthest reaching means of communication for refugees. Each city has a different set of challenges for disaster-affected people to overcome. Sonia’s efforts using communication technology to knock down communication barriers have resonated with people outside of the areas she works. “Refugee groups from all over the world expressed an interest in our program. We even have a waiting list.” Sonia is currently working with refugees in Kuala Lumpur and plans on continuing Urban Refuges’ expansion in 2016.